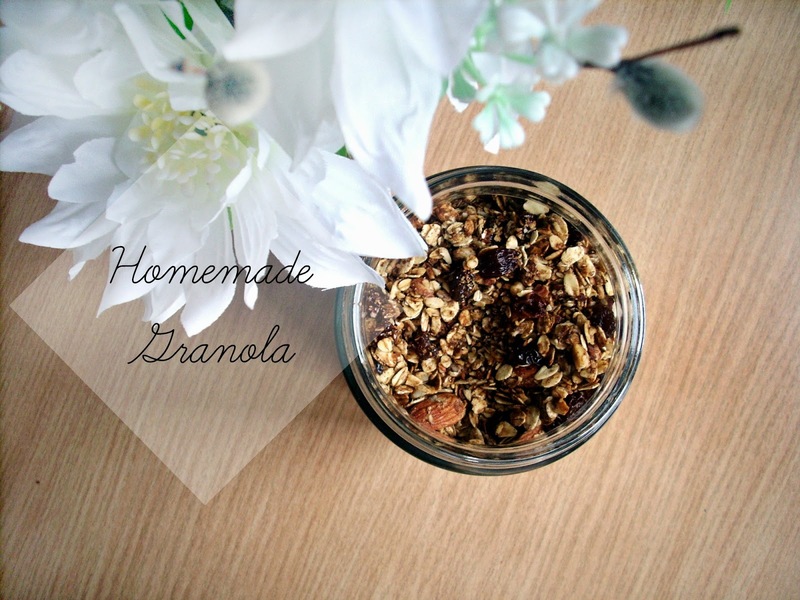 As promised, here's my updated granola recipe. 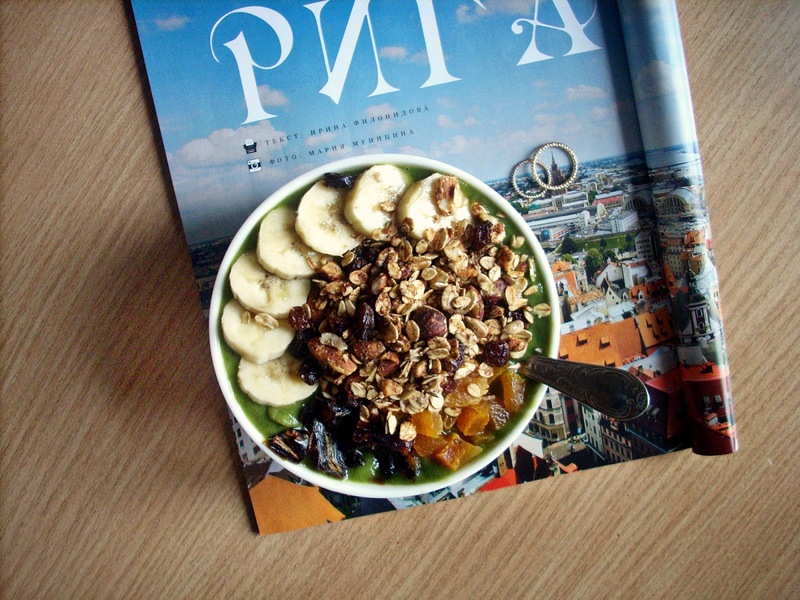 If you follow me on instagram, you probably already know that I eat granola all the time with yogurt or smoothies. 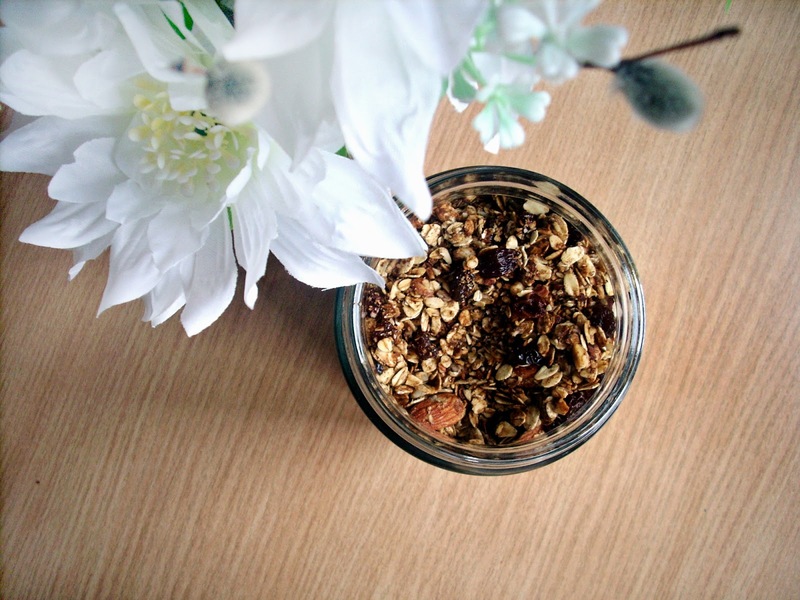 In fact, I'm pretty convinced that the day I tried granola for the first time, my life just instantly got that much better! As I've said, I like to eat my granola with a greek yogurt or a smoothie bowl for breakfast or during the day as a snack. The recipe is actually quite easy. I've made granola about a dozen times this year, so I guess it's safe to say that I nailed it. 2. Crush the nuts in a food processor/blender. 3. Mix all the dry ingredients in a large bowl, then add honey and mix once again. 4. Spread granola over a baking tray and bake for about 30-40 min. Don't forget to stir the mixture every 15 min, so it doesn't burn! 5. 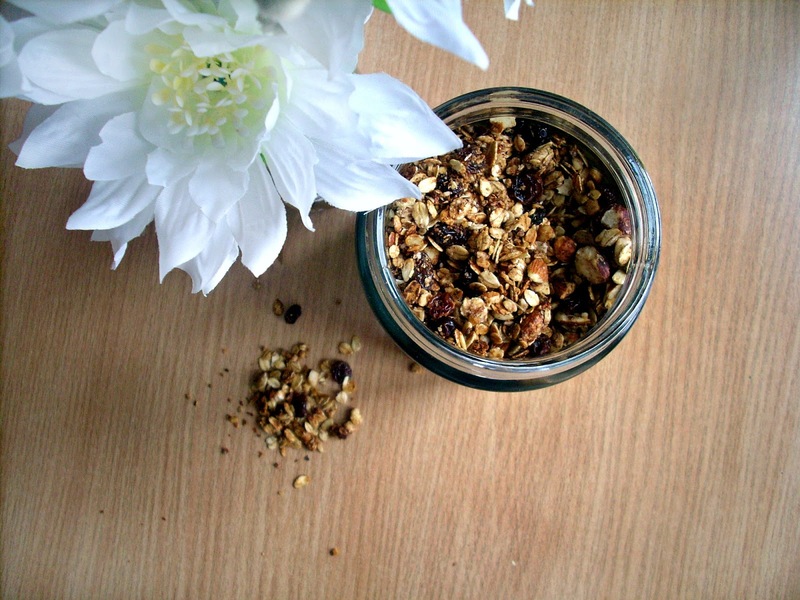 Once the granola is ready, take it out of the oven, let it cool a bit and then mix in the raisins.